This inside the waistband features a soft nylon with a polyurethane cloth lining. The comfortable design features a sweat shield that provides a barrier between the body and the firearm. It rides at a 90 degree angle for easy draw. A single tempered steel spring clip provides easy removal of the holster and durability. Haven't had it long, but I love it so far! Bought this one for comfort carry. A little bit on the poofy side compared to other cloth holsters, but that's due to nice thick material and this one exceeds the others (cloth) I have by far in quality, fit and feel. Fits my Kimber micro 9 perfectly (Bought for the Sig 938 since same size and I did not see Kimber Micro 9 listed, not sure why) . Great quality for the price! Would totally recommend to others! 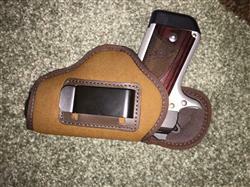 Ordered holster for a Kimber KHX ultra. 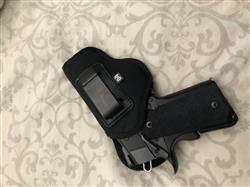 Simply ordered a nylon fitted holster for a 3in 1911. Very comfortable. Barrel is flush with bottom of holster. Am ordering another one. Very affordable and well made. Thanks Maxx Carry!! 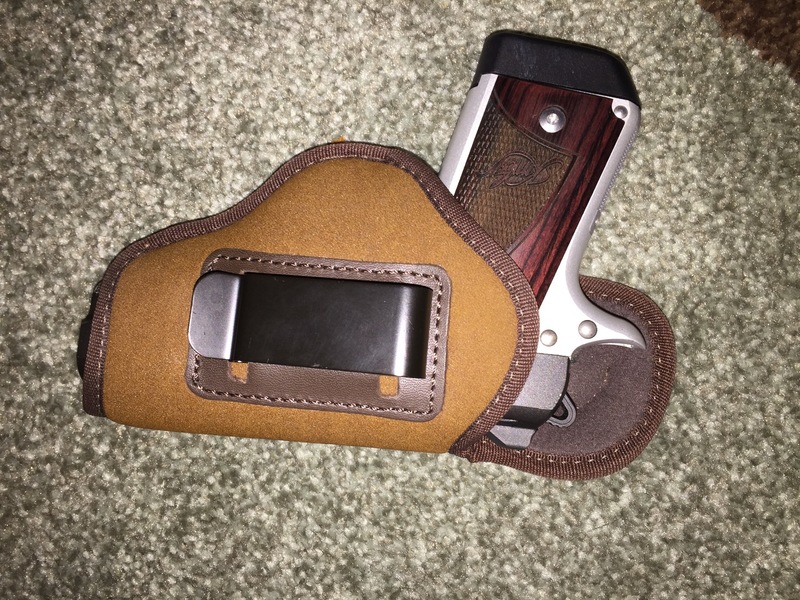 After hearing good things about their Holsters I decided to give them a try, not only it’s a quality Holster it also fits my Defender 1911 perfectly, I had initially ordered the wrong size but after contacting them, they correted my order and sent me the right one. I ordered a nylon holster for a Walther P99 (which will also fit a Canik tp9DA). I really like the great quality build of your product, the sweat guard that covers the entire slide and the fit is perfect. CS is also a 10!